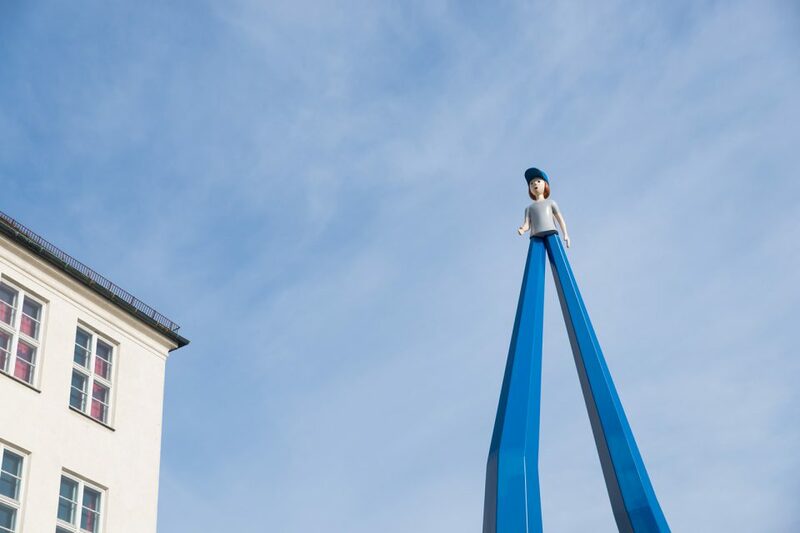 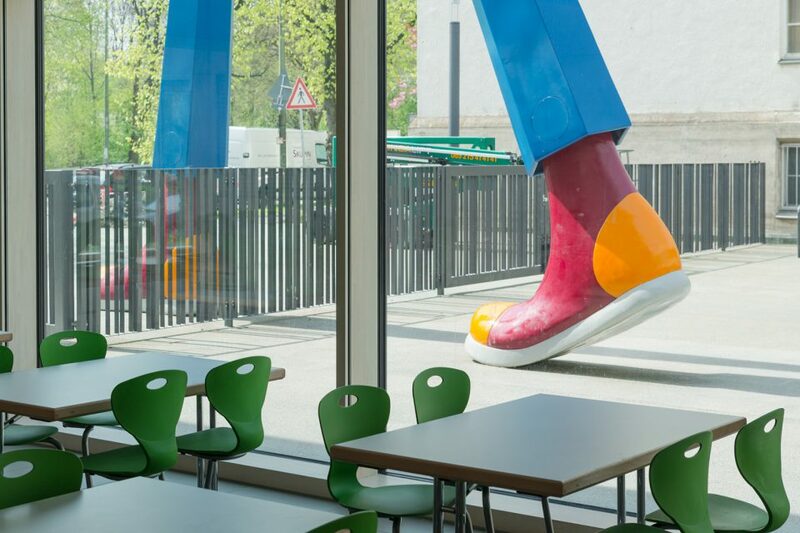 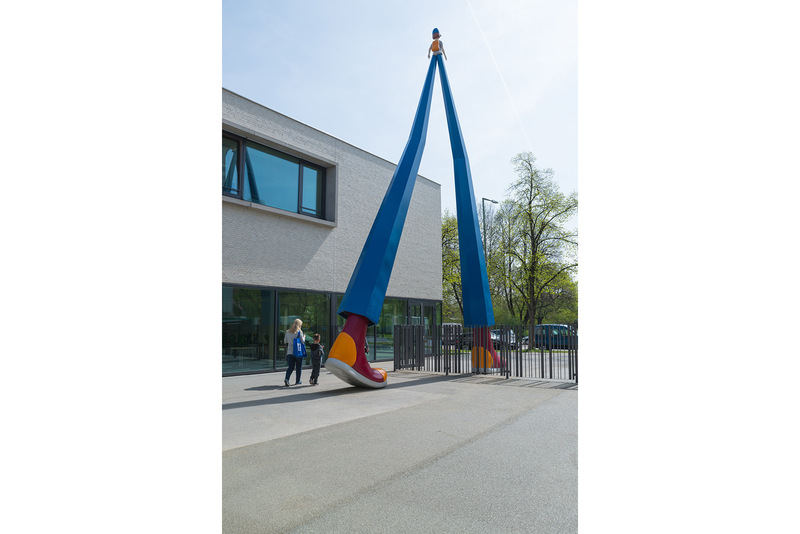 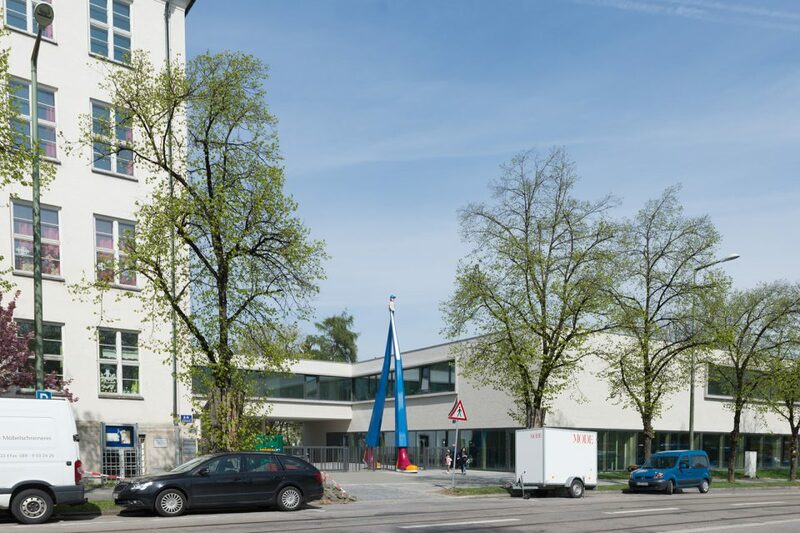 A 12 m high figurine is placed where the school ground meets the urban sphere. The sculpture depicts a young student who is zoomed into gigantic proportions. While shoes and legs are enormous, the torso and head is still kept in the proportion of a 12 year old. 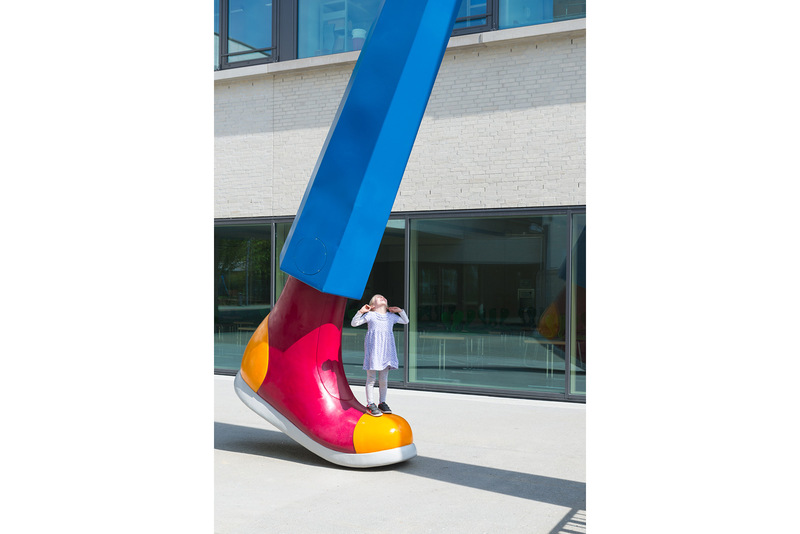 The sculpture is designed in a toy–like style, with bright colours and features of urban street culture. The perspective distortion intensifies the cartoonish character of the figure. 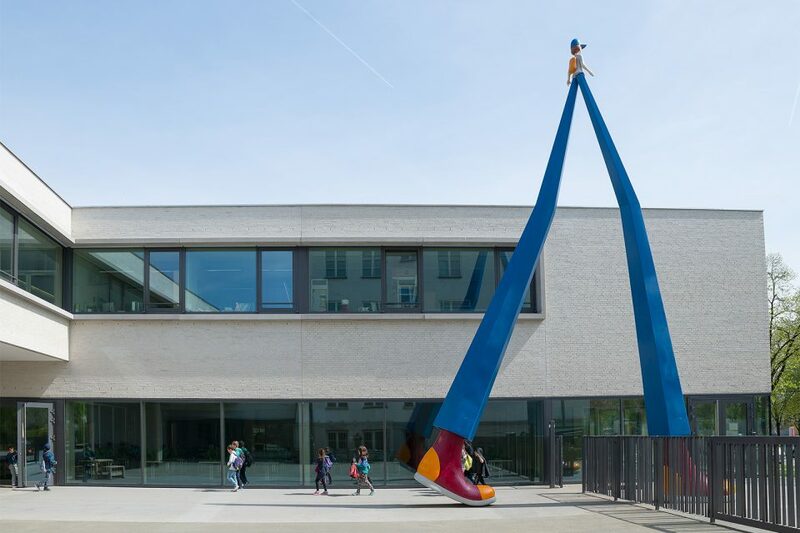 Exemplary for all the pupils the figurine steps out into the world with verve and self-confidence, serving as a landmark for the school visible from afar.